Domestic Care Retaining independence can be an important factor in living a full and enriched life in later years or for vulnerable adults. But, if you need a little extra help around the house or with other chores, then our Domestic Care service could be just right for you. 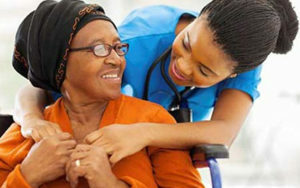 Our fully trained and security checked Domestic Care assistants can help with all sorts of tasks including, light housekeeping tasks (such as dusting, vacuuming, cleaning the kitchen, washing, ironing, changing bed linen, reading the mail and looking after pets) alongside help with errands such as shopping or collecting prescriptions. Please contact us to discuss your Domestic Care needs with one of our team.